We at iBuildApp are proud to announce our new Corporate App Store, which features a wide set of features including unlimited apps, backups, security options and user management similar to att corporate store. The goal of the corporate plan is to provide an affordable and feature-rich solution for those corporate store users that are building hundreds or thousands of apps for clients like att on a yearly basis. You may also run a network of corporations. For example, since I live in Chicago, I'm use to seeing large restaurant management companies that have dozens of different restaurants on their portfolios. This is the same with golf course and apartment management companies. You may own multiple restaurants, but each of them has its own brand, so lots of apps may be required. Therefore, keep reading to learn more about the new Corporate Plan, and feel free to contact us if you have any questions along the way. What's the Corporate Store Plan's Pricing? is it like att store? The Corporate Plan runs at $237 per month billed on annual basis, which comes out to a great deal if you're using it for lots of apps. If you're only making five or ten apps, some of the lower priced plans would work for you, but this one is for the serious businesses that use these mobile apps to bring in a considerable amount of money. Keep in mind that the plan is billed on a yearly basis, which allows us at iBuildApp to keep the pricing low. 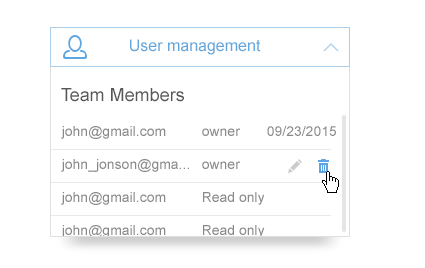 How Does the Admin User Management Work? Some areas of concern for corporations that sign up for a large mobile app plan are security and access. For example, you want the right people to have access to the mobile apps, but at the same time you want to keep out folks who may be new to the company, or those who are more interested in causing harm. Therefore, the corporate user management area gives you full control of who can manage and edit apps from the backend of your iBuildApp platform. What's great is that the people on your team no longer have to share passwords with each other, since separate passwords are generated for each and every user. Finally, the tool has some quick add and remove tools, which comes in handy for contractors and employees who leave. What Can You Expect from the Backup Features? Besides the fact that iBuildApp always keeps a version of your app backed up, the Corporate plan for app store also allows for manual backups in case something goes wrong along the way like in att. This backup management center is even more important with larger corporations like att corporate store, because lots of users are going to be changing things, and you are going to have several apps to think about. A large list of your backup files is generated on the backend. So you can go into the system and locate the right date and version of your app without any problems. It's also nice because you can include a description of a certain backup to make it easier for your own reference. We enjoy the backup feature for those who may feel as if they dislike changes made, so they'd like to go back to a previous version. 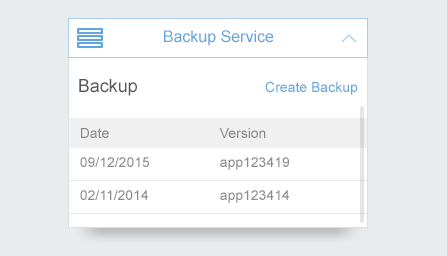 We have a guide on how to backup your iPhone or Android app. Feel free to check it out. Does Unlimited Apps Really Mean Unlimited? Yup. There's no joking around here. You can make 10,000 apps or 10 apps. It doesn't matter. Some of the apps you generate can be demos, while some can be fully functional. You may want to make promotional or event apps that you never use again. That's the glory of the Corporate Plan at iBuildApp that is similar to att corporate store. What's cool is that each of the apps you make are completely white label, and you add Add-On - iBuilApp Enterprise corporate app store to avoid publishing your apps on AppStore or Google Play. In addition, an unlimited amount of push and GPS notifications are provided without any extra charge. So there you have it. The world of corporate store building is becoming cheaper and cheaper, and iBuildApp is leading the way by doing it like Att corporate store. If you have any questions, or would like to sign up for the Corporate Store Plan, feel free to contact us, drop a comment in the section below, or just go to this link.